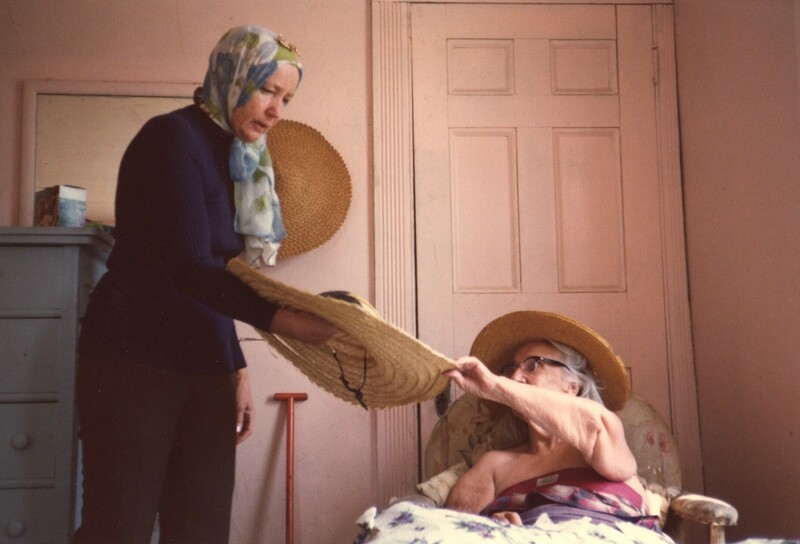 There are few films that have achieved such cult renown as Grey Gardens: the 1975 cinema verite documentary that recorded the bizarre and captivating existence of mother and daughter Edith and Edie Bouvier Beale. Filmed by cinematic pioneers Albert and David Maysles – two brothers who initially set about creating a documentary on socialite Lee Radziwill but, to her displeasure, were fascinated by her eccentric relatives instead – it is a compelling and unremittingly poignant insight into the relationship between a mother and daughter; a duo who, having isolated themselves from the world, inhabit a universe that is stranger than fiction yet somehow utterly relatable. Holed up in their dilapidated Hamptons mansion, they remember their respective glory eras (Edith’s brief career as a songstress, Little Edie’s lost loves) and bicker with one another, try on fabulous costumes and tend to their seemingly infinite litter of cats. They quiz the Maysles, perform for them and each other, are gloriously unscripted, interminably self-assured and completely magnetic. Here, Muffie Meyer – the woman who co-directed the film and spent two years sifting through video footage to edit it into a narrative form – reveals her memories of the women themselves, and why she believes the film might have resonated with just so many people over the past four decades. How did the filming work logistically; did you ever enter the house? 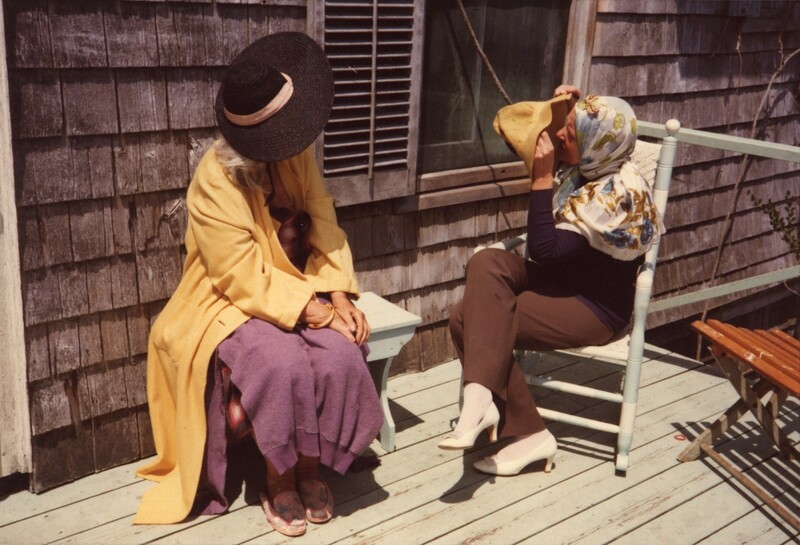 During the filming of Grey Gardens the only people who went in the house were David and Al – even the assistant cameramen would just load the film into the camera’s magazine and then leave it on the porch. The principle of cinema veritas is that you intrude as little as possible and that you just capture what is already going on – but the Beales wouldn’t let that happen. 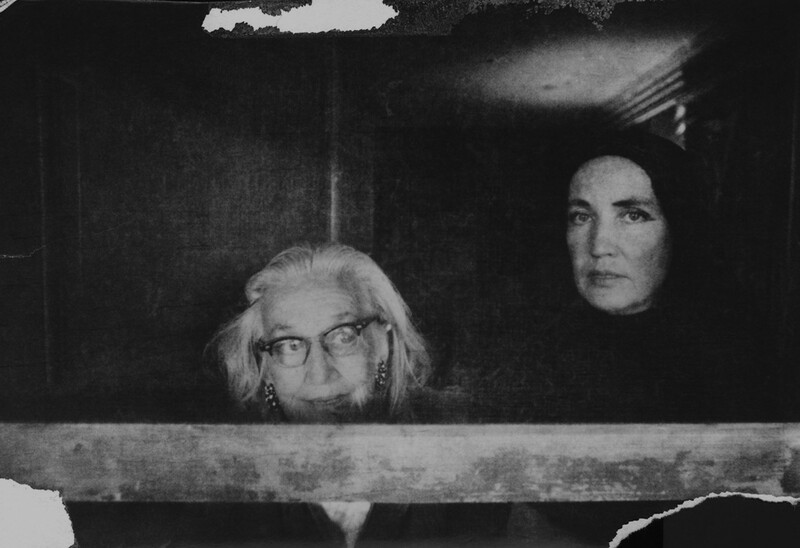 They kept bringing the Maysles into the picture; Little Edie would approach them, draw them into conversation, and so they very much became part of the process in a way that none of us had expected. In hindsight, I also think it was important that it was two men engaging with them: Little Edie would flirt and so on, because the absence of men in her life was such a strong part of her character and, in the end, of the film. And so how did you first actually meet the Beales? Well, Ellen [Hovde] and I edited the film – which took quite a while – and towards the end of the process we realised that we needed a few extra bits to make the film work, so we sent the Maysles back with a list of things to shoot. Susan [Froemke, Associate Producer] had a summer house not too far from their home and so, during that time, we would ride our bicycles over to visit or Little Edie would come over for dinner – and that was really the first time we met them. It was amazing. Firstly, you cannot imagine the smell, and the fleas were an issue, but the Beales themselves were delightful. I remember that we would come up to the house and hear them right from the road, singing to each other and arguing, it was great. So did you develop a relationship with them? Yes – Little Edie actually sang at my wedding! She even took my husband aside and told him what a good cook I was. She remained much the same when the cameras weren't rolling; she was always charming, and Edie-ish, but she didn’t flirt with me like she did the Maysles. We stayed friends and for years she would write me the most wonderful letters – it was certainly a friendship of longevity, if not necessarily of depth, because she was generally remarkably self-absorbed. One of the things I recently discovered is that she had cases of diaries that she never shared with us. They would have been very interesting to have because there are a lot of mysteries that we tried to figure out, but never did: whether Edie had sexual relationships with any of the men she talked about, what really happened between her father and mother, who Tom Logan was and what happened between him and Edie...it's fascinating. How did you decide to structure the film? Did it feel important to protect them? Actually, it was very hard to structure because nothing really happens and so Ellen and I realised that, since the Beales didn't change, we had to make the audience change how they felt – not about the Beales, but about the power dynamic between them. We had a lot of discussions about protecting them – although David and Al didn't imagine that there would be the sort of criticism that there was of the film, Ellen and I knew that people would end up calling them crazy. In the end, nothing could stop that kind of criticism, and the critics were apoplectic. They seemed to feel that Little Edie, in particular, was just crazy, and therefore wasn't capable of giving informed consent for the filming. I totally disbelieve that: Edie managed her life just fine after her mother died. She was eccentric, certainly, but not crazy. 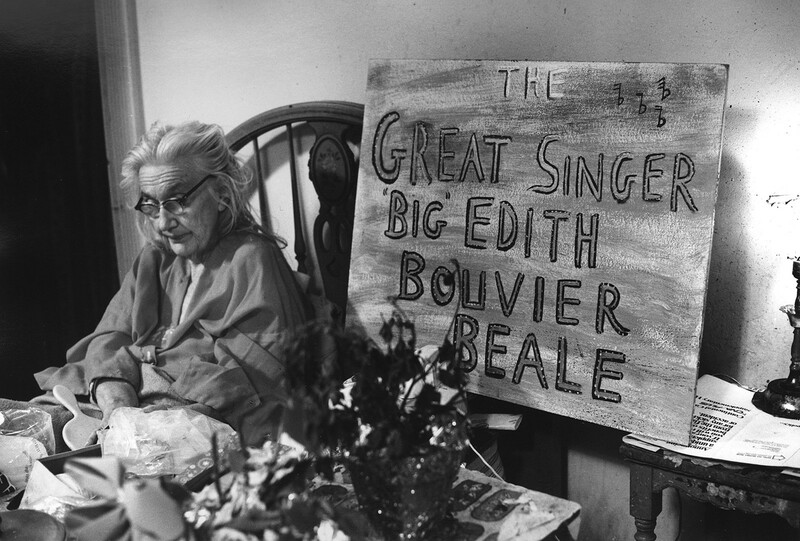 How did Edie feel upon seeing the film? Well, I remember giving her a bouquet of flowers at the New York Film Festival, and she started throwing the flowers down at the audience, and the orchestra and she was just beaming.Those times were kind of her moment of validation, and that was a joy to see – although I don't know how long they ever lasted. But, about two or three times a year until she died, I'd get a phone call from her asking 'Muffie when are we going to make another film?' so she must have liked it! Is there anything that you cut out that you wish you'd left in? How do you feel about the impact of the film? Surely you never could have imagined its ongoing acclaim..
Not at all! I mean, I have been completely shocked by its longevity and – I'm shocked every time there is a fashion spread inspired by it, and I'm shocked to be talking to a journalist about it 40 years later. I remember that one night I went to a club which, every Thursday, has a Grey Gardens night and all these gay guys came dressed up as the Edies and they had a little stage that they would spontaneously hop up onto and act out scenes. Who would have thought? Why do you think it has had such a big impact in the queer community, and in the world at large? I've often thought about that and the honest answer is that I don’t know – but what I have thought about are that the Beales are so out there that it’s sort of like they’re the opposite of like in the closet; they have the freedom that comes with being larger than life. And I also think that there's a complexity to their relationship that touches most people. What struck me when working on it was that, in some ways, the Beales are like all of us: us with our mothers, us with our children, us with our boyfriends and girlfriends and mates of all varieties. They show that complex interdependency; the complexity of trying to live with someone else and the co-dependency that can form in relationships – both the loving aspect and the difficult aspect. Can you imagine how thrilled Edie would be to know we were having this conversation? Absolutely: absolutely thrilled. But I think, in some ways, she wouldn't be surprised.